Welcome to Wigston Phoenix Running Club. We are a friendly, sociable club who cater for all standards of runners in Wigston, Oadby and South West Leicestershire. Our main training night is Tuesday, when we meet at The Elms Social and Ex-Services Club (formerly the Royal British Legion) in Wigston. For more details, see the training and about us pages. 2019 LRRL Race #3 the Desford 5, 31/03/19. Another superb turn out and Charlie Nurse was the first Wigston Runner today and first female too! 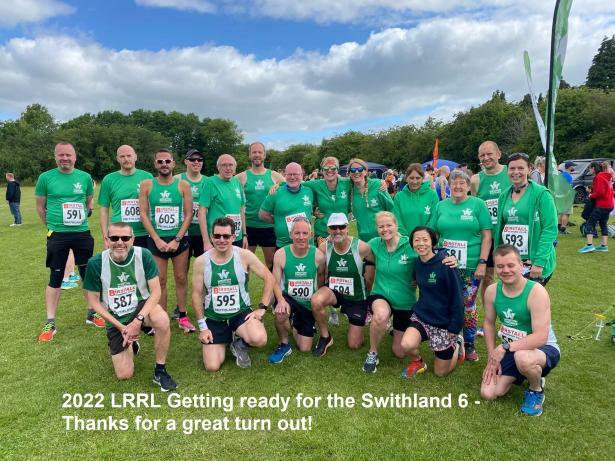 Online entry (via Event entry) opens for the Swithland six on 9/4/19 at 8:30pm. Click here to go to the 5.6 mile route. Click here to go to the 6.1 mile route. Click here to go to the 7.2 mile route. Here comes the summer. University Manor Road track. 7pm by the observatory. Consensus was to continue with the old cinder track...so come along and have a go at some speed repetition work. Put some zip into your legs! Subscription rates agreed (by majority vote): Subs £15 (concessions apply) EA Number (individual competition license)£15 [amended] No concessions. Evington training session, with drinks and social after in the Leicestershire golf club. See Social Events for more detail. 2018-19 Derby Runner XC Season Race. Another great turn out for the last XC of the season. Thank you to all who raced for us this season. Counting teams for every race for the ladies and men! Indivisual League awards: Alice Rowland 2nd Female senior; Jill Murdey 3rd V55 Female; Linda New 1st V60 Female; Denise Muddimer 3rd V60 female; Ray Draycott 3rd V65 Male. Click here to go the results. Thank you to every who ran and helped to make the event a great success. Congratulations to Sue Castledine winner of the 2018 Norman Bennett Track Handicap. 2nd was Pete Sylvester and third Jo Sanders. Fastest male was Martin Hulbert and fastest female Jo Sanders. See news for full results list. Thank you every one who helped to organize a brilliant morning! Great turnout for the club's volunteers, marshals and runners! You were all fantastic! Thank you Carole and Irene for organizing a great pub run around Broughton Astley, from the White Horse. Sadly, the last of the season, but we are looking forward to next spring! Thank you all for a very good attendance at the club's AGM. iii) Data protection - there is an authorization form to sign to allow your details to be sent on to EA. There is also our club's data protection agreement and medical declaration to complete.